Time and again, one topic rises to the surface when discussing Walt Disney World. It isn’t history or attractions, nor is it resorts or characters, when all is said and done, the one thing we all want to talk about is food! Roundtable Topic: What is you favorite character meal, buffet or all-you-can-eat dining experience at Walt Disney World and why? Roundtable Contributors: Elizabeth Caran (Take the Monorail), Melissa Loflin (Makin’ Memories), AJ Wolfe (The Disney Food Blog), Chris Fore (Yet Another Disney Blog), Scott Otis, and yours truly. Elizabeth – So call me a girlie-girl, but my absolute favorite all-you-can eat at WDW is the Princess Breakfast at Akershus. Sure, Boma is awesome and Chef Mickey is totally fun, but at Akershus, they let me eat all I want AND they bring it to me. There is a small buffet with everything from fruit to cold cuts to bagels and yogurt, but I love that they bring the hot foods to our table family style. The eggs, bacon and sausage are standard fare for any breakfast, but their cheesy potatoes are seriously awesome. And they'll keep bringing so you really never have to leave your table. Of course we do because we want to sample everything. We've taken both boys and girls to this meal and although it's only princesses, we've rarely had a boy complain. And the big boys in the party NEVER complain. We've met different princesses each time we go, so the experience is definitely worth repeating. And it seems not as many people hit this particular experience, so sometimes it's not at all crowded. There is a photo op at the beginning of the experience (so far, it's always been Belle when we go) but the line is relatively short and before you know it, you have a table full of great food and various princesses are circling the room. It has become a "must-do" whenever our family goes to WDW. Melissa – I just recently wrote about my love of the family style breakfast at 'Ohana, but that was more of an emotional attachment. It's time to focus on the FOOD! Trail's End at Ft. Wilderness makes my tummy rumble. We used to enjoy the buffet lunch there before it was switched to an a la carte menu, but dinner is just as yummy. I am, after all, a southern gal, and this places serves up a heaping helping of down home goodness. We're talking a buffet full of chili, fried chicken, ribs, fruit cobbler, and the list keeps going. It's comfort food served in a comfy atmosphere. The best part is, when you're finished with your meal, you can mosey around the grounds and visit the horses or relax by the water. This is the place to go if you want to sit a spell and let time go by a little more slowly. AJ – My favorite all-you-can-eat dining experience in Walt Disney World is Hoop Dee Doo Musical Revue. The show makes me belly laugh no matter how many times I've seen it, and you just can't discount all-you-can-eat fried chicken, mashed potatoes, and strawberry shortcake. And where else do you get all-you-can-drink Sangria? This place has been delighting (an old fashioned word, but truly applicable here) Disney World patrons for decades. It's always good. It's always consistent. And it's always worth the money. IMHO. Chris – If I have to pick one, then I'll go with the Biergarten restaurant in Epcot's Germany Pavilion. Although you can find better food at other venues (Boma, anyone? ), Biergarten offers a combination of atmosphere and live entertainment that push it over the top for me. 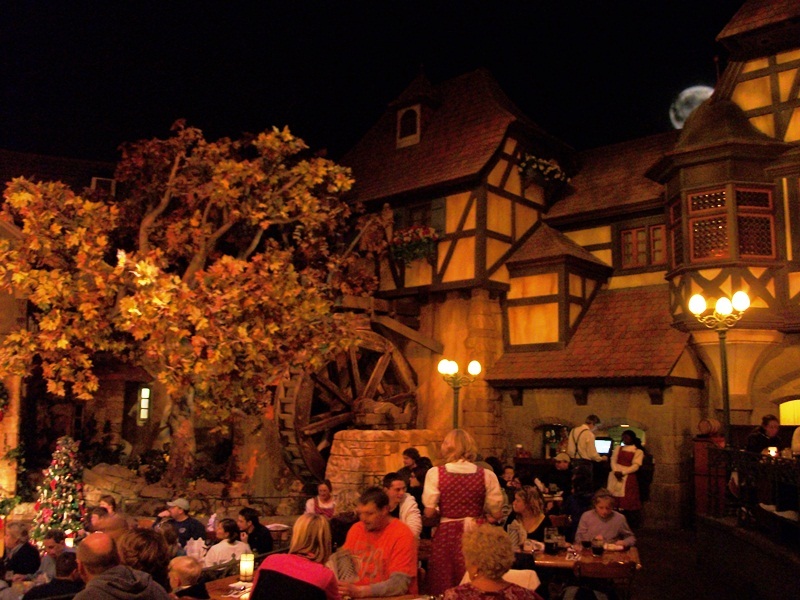 Furthermore, dining at Biergarten feels like I am experiencing some genuine old-school EPCOT (although I wish the water-wheel still worked). "Tiki taki tiki taki" OY OY OY! Scott – The greatest dining experience on Walt Disney World property is, by far, both Trail's End Buffet and The Hoop-Dee-Doo Musical Revue dinner show at Disney's Fort Wilderness Campground. These restaurants have the advantage of being located in the last bastion of OLD Walt Disney World. 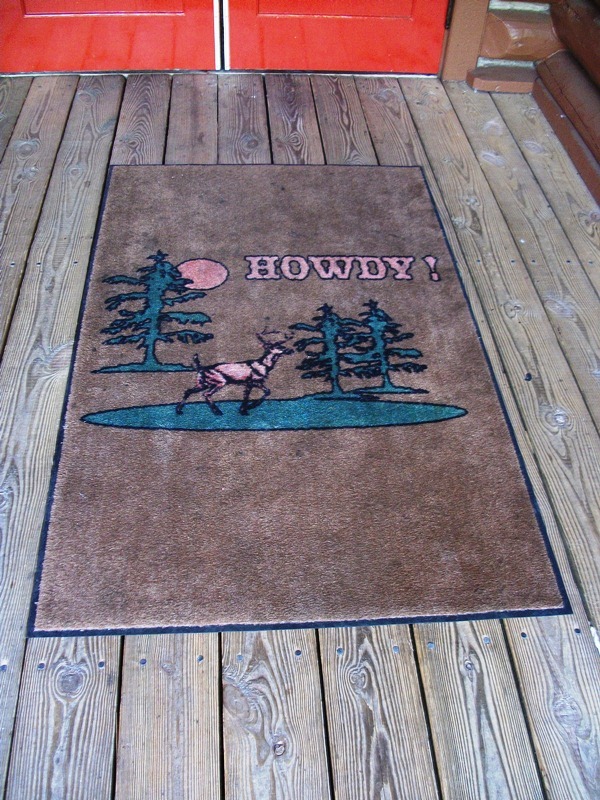 Just getting there is a fun adventure: parking at Check-in and taking the motorcoach through the rustic wilderness of pine trees and through the loops of Guest's campsites and cabins. In addition to being the greatest bargain at Walt Disney Wold, Trail's End has some amazing food in a rustic environment: all-you-care-to-eat fried chicken & other meats, chili, cobbler and ice cream. Such a relaxing, satisfying meal in the perfect location. Hoop-Dee-Doo has an entertaining show (Six Bits, Claire de Lune and the Davy Crockett tribute) and delicious food (BBQ ribs, corn bread and strawberry shortcake), as well. I can remember all the times I've clanged my plate with my spoon to the tune of the foot-stomping music. Ask for the excellent server Dallas, if you can! I absolutely love going to Fort Wilderness for a meal. Either the simpler Trail's End or the pricier Hoop-Dee-Doo completely satisfies me every time. Ryan – There are so many wonderful stops for buffet and character dining, from the uniqueness flavors of Boma, to the hearty grub of Trail’s End (though I prefer the take-out route and sitting on the shores of Bay Lake), and even the fun-filled meals of ‘Ohana. 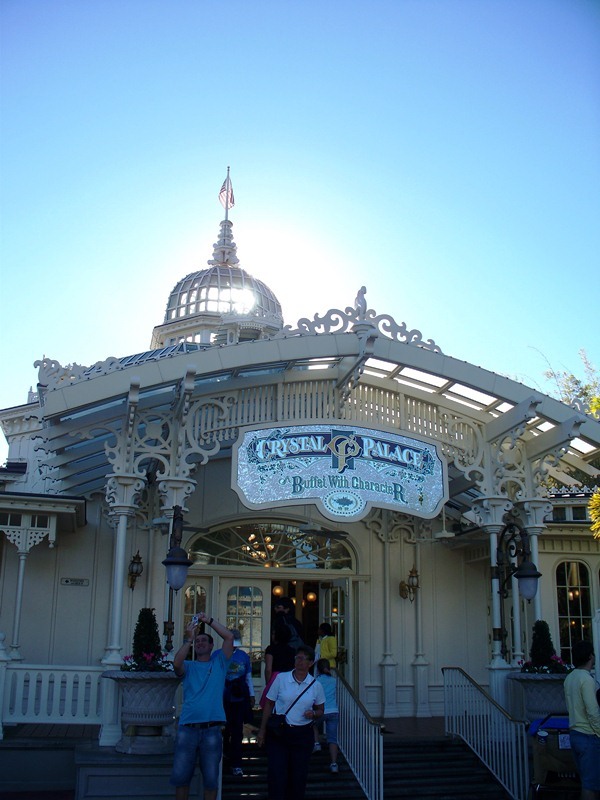 Yet, if I am forced to choose one dining destination, I would have to say the Crystal Palace. It isn’t because of the food, although it does feature the most diverse collection of dishes within the Magic Kingdom. It isn’t even because Winnie-the-Pooh and his stroll by while you’re eating, and I expect these characters to become even more popular as the new Winnie-the-Pooh feature draws closer to the big screen. The fact of the matter is, I love the Crystal Palace for its setting. The turn from Main Street U.S.A. towards Adventureland, the move from brick and mortar to colonization, all summed up in one Victorian outpost. Inspiration for the structure came from the San Francisco Conservatory, London’s Kew Gardens and New York’s Crystal Palace, and the beauty of the steel-meets-glass shines through, leading to great meals and wonderful interactions in stunning surroundings. 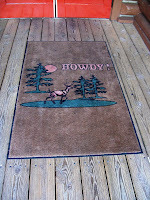 A lot of contributors fancy my favorite site in all of Walt Disney World, Fort Wilderness for their meal. I almost feel ashamed that I didn’t not belly up the to the buffet bar at Trail’s End. You may also have noticed that we didn’t get a buffet-sized portion of answers, truth be told May was a busy month between Star Wars Weekends and Destination D, which accounts for many of the missing in action contributors. That means it is more important than ever that we hear your dinner bells, as you leave a comment and tell us where you love to meet and eat! LOVE the Biergarten but with a name like Heidi what would you expect!?! Ha! I'm a breakfast lover, so any buffet that features Mickey Waffles is ok by me! 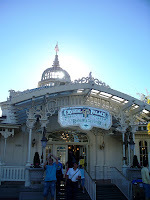 Crystal Palace breakfasts give you another magic moment... get the first reservation of the day, and you get into the park about 10 minutes before it's open to the public! We have the BEST photos down Main Street and at the Castle from this reservation time!